“Input from John Strand was excellent. Deliveries were as agreed schedules and they were flexible in absorbing changes due to site restraints." The need for good quality student housing is an ever present situation across the country and one which certainly applied to the University of Exeter with a student population of 17,950. In 2010 Cowlin Construction were awarded the contract to build a new facility and they approached John Strand MK to provide kitchens for the new INTO centre at Exeter. Cowlin Construction (which is a Balfour Beatty company) discovered John Strand MK Limited on their group database and with INTO liaised with Sales Director, Calvin Reeves in the decision making process to develop the design schemes. The final project went to commercial tender and John Strand MK were the successful bidder. Their decision was based on the look and versatility of the kitchens and service. The project, which had a budget of £20 million and a 65 week timescale, incorporated kitchens over 2 floors. 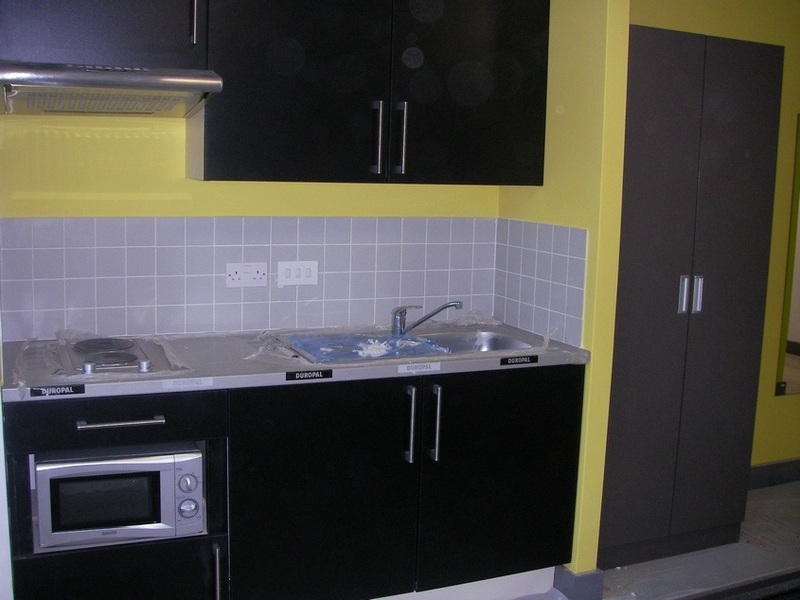 This was a new build development with a brief that demanded high quality for overseas students which would work well within a studio setting and some kitchens for shared communal use. In total John Strand supplied 195 kitchens comprising of 160 studio kitchens, 34 communal kitchens and 1 accessible communal kitchen. The programme started in September 2010 and a delivery schedule was planned with a document tracking procedure set up to coordinate phased deliveries to site. On a large scale project such as this, organisation is paramount especially when working around other trades on-site. If you would like to find out more about commercial contracts we have completed or make an enquiry about a forthcoming project you have planned please contact the office on +44 (0) 20 8930 6006 or e-mail to enquiry@johnnstrand-mk.co.uk. 160 studio kitchens – 1800mm wide with matt black MFC doors and cream MFC carcase. 34 communal kitchens – with fino bronze MFC doors and cream MFC carcase. 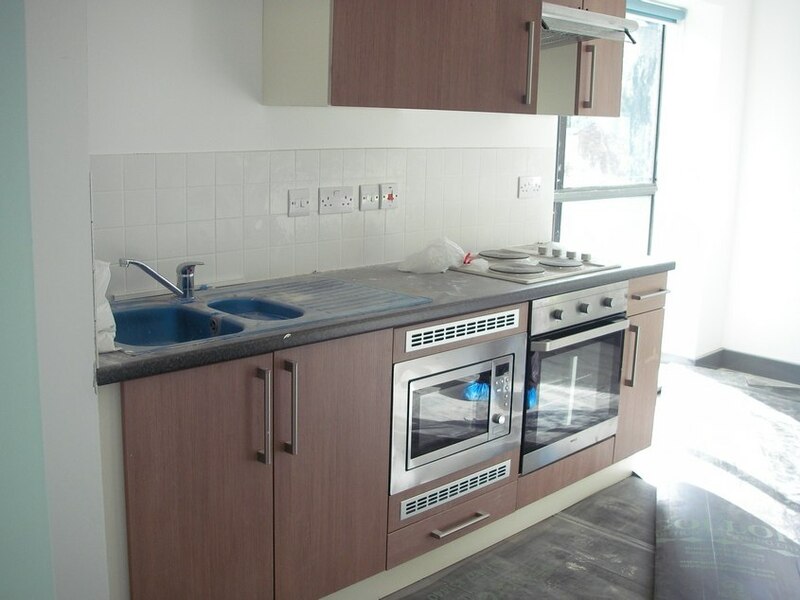 1 accessible communal kitchen – with fino bronze MFC doors and cream MFC carcase.